All that matters to the citizens of this world is a good livelihood, a sense of pride and safety for their family. Stories from Politics to Sports and from Science to Entertainment help them to enrich their information and knowledge level to be an ideal citizen of this world. Financial and economic security boosts their morale. The world is changing at a rapid pace, as is geopolitics. Asia is now emerging as a new power hub and there are many issues which the United States and many other western nations are facing. 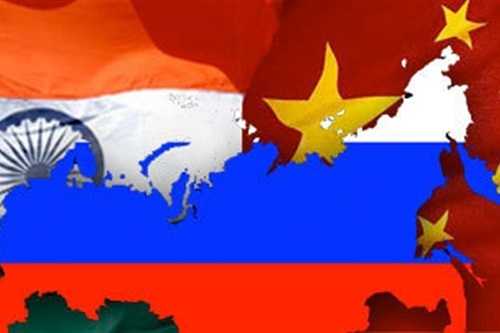 The rise of India, China and Russia can make a new world order. Many western economies are based on funding principles which will not make them sustain in the long run, while countries like India, China and Russia still value labor laws, research and the potential of education. Knowledge and wisdom holds a place in these countries, unlike the West where things are way too commercial and output oriented which may bring them to the verge of collapse in 50 years. The originality, core principles, history, culture, and education may differ from one nation to other and each country must realize and explore its own resources and values; only then will it sustain and grow. Of late India, China and Russia have realized this, as have many other European countries. At a time when the world is witnessing a rapid change in geopolitics, India is attempting to show the real, recognizable, raw and rejuvenating picture of the world, filled with positive energy, enthusiasm and joy. The political will is carrying India to the next level and opposition has got a new wing in this challenging time. India has always been a Vishwa Guru and is set to retain that. In these turbulent times it is hoped that India will achieve what it aims to in the lines of its path to wisdom, economic and political stability, making India great among the existing world order. It’s not a distant dream to see India as a global power hub and rising with its allies in the region. Its great competitor China has now got Xi Jinping as a lifetime political head but in India political stability comes through elections and decides the fate of political life and power on the will of the public. India has many great plans to connect to the rest of the world like China is doing but it will be needing stability and investment in those plans by partner nations, to welcome them to India and allow the country to make her footprint in those nations. India has started in the right position at the right time but has to be cautious. It will rise, shine and remain as ‘Vishwa Guru’. Many believe that China will replace the United States as the Global Super Power by 2020. This writer himself travelled to SAR Hong Kong and Chengdu, China to see great the transformation under premier Xi. The economic revolution started by Deng-Xiaoping is taking a decisive turn under the current leadership. Xi is now the life ime head of state and the most powerful person in China. One Belt, One Road aims to connect the remotest parts of Asia and Europe to China. But China needs to reform its society to where it can easily compete with the U.S.. It also needs to see India as its great partner and find ways to solve disputes. India and China have to derive a theory of marching together, only then China and Chinese ambition will be fulfilled. 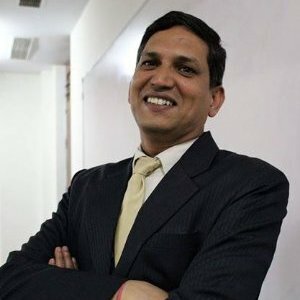 Ratnesh Dwivedi is a seasoned Academician, Author, Journalist, NASA Certified Educator and Consultant with 15 plus years in teaching and corporate. He has seen the changing face of global politics and has written extensively on International Affairs. He serves on board of a dozen global firms ranging from Mining, Oil & Gas, Electricity, Energy, Cyber Security, Intelligence, Defence and Counter Terrorism having the finest people from the corporate world and Goverment onboard. He holds memberships with global organizations such as ECREA-Brussels, Mission Essential-Virginia, Global Ethics Network-Washington, American Astronomical Society-Washington, Internet Society-Virginia, CSIS-PONI-Washington, RTDNA-Washington, NSTA-Virginia, EIN News Desk, Bush Presidential Center, Texas, etc. He has authored five books. The Story of an Intern is a Reportage, The Cosmic Mask is a Space Fiction, Third and fourth are awarded academic books. His fifth book, US Intelligence and Cost of War talks about USA Military engagements in the Middle East.